A few years ago, I saw a photo of this bridge and the surrounding area in a travel brochure. Before I knew where it was, I decided I had to go there. I had to see for myself this incredible little town that seemed to be built on rock cliffs. It turned out this place was Ronda, in Spain. It’s one of the most beautiful places I’ve ever been to, and it’s constantly overlooked because of bigger tourist towns like Barcelona, Madrid, Seville and San Sebastian. We found there was so much more information on all of those other places than there was on Ronda online, so I wanted to put together a bit of a guide for others who are travelling to Spain. 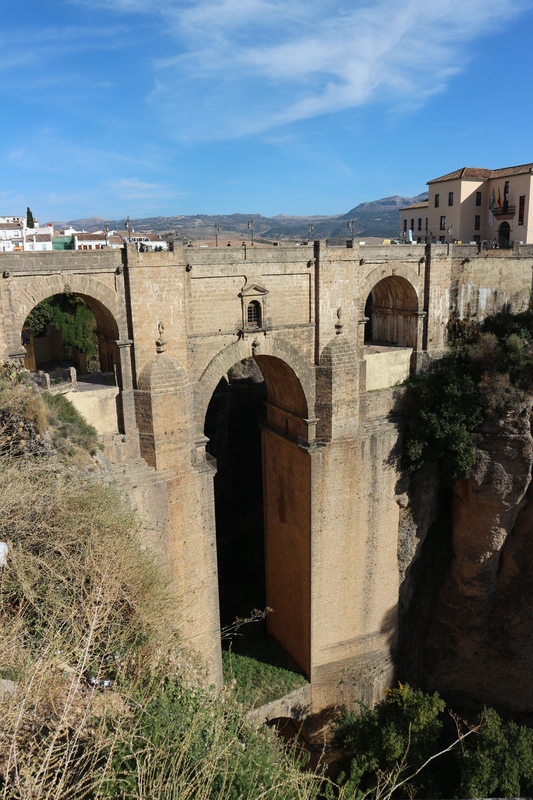 Because Ronda is very much worth visiting while you’re over there! By train – cheap and easy. The best airport to fly into is Malaga, and you’ll be able to catch a direct train from there, which takes 2 hours each and cost us around AUD$35.00 per person. You’ll be able to book online a month or two before travel, and the best website we found to book with was on Loco2, which has a really user-friendly booking system. Their website will advise you if your tickets can be downloaded to your phone, if they need to be printed, or if they are paper tickets that must be posted to you, and you can create an account so that you can access your trips easily. We stayed at the Hotel Colón, which I couldn’t recommend more highly. Its a basic hotel (we’re not fancy-hotel people), but in a great location that’s within walking distance of everything you’ll be wanting to see, lovely staff, 24 hour reception, free Wi-Fi, and a huge complimentary breakfast served in their restaurant. 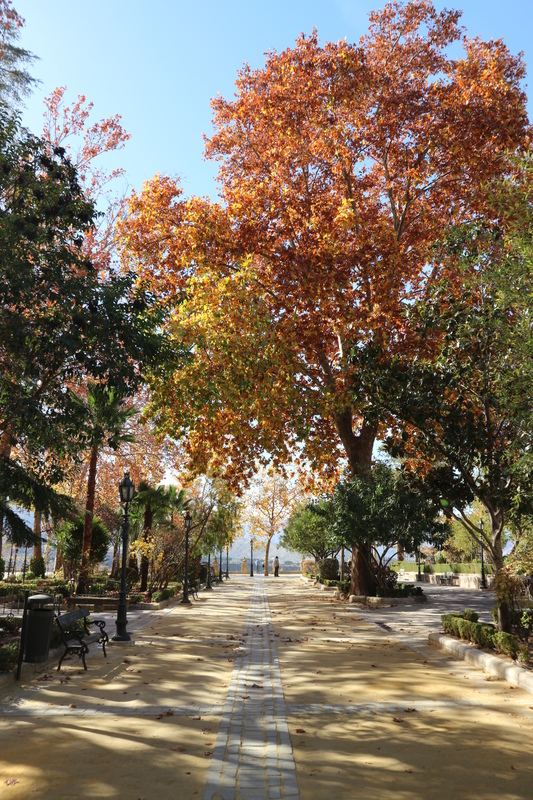 This gorgeous 19th-century park is full of enormous trees, wide walking avenues and park benches. It also has an absolutely insane view out over the gorge, if you’re not too bothered by heights. Built in the 18th century completely out of stone, this was the heart of the city for a very long time. You can head in and check it out from the inside for around €7.00 per person, or just have a wander around the outside. Be sure to check out some of the gift stores around the bullring selling hand-painted ceramics. Yup, the bridge in the first photo. Built in the mid to late 1700s (it took over 3 decades to complete), this is one seriously impressive feat of engineering. 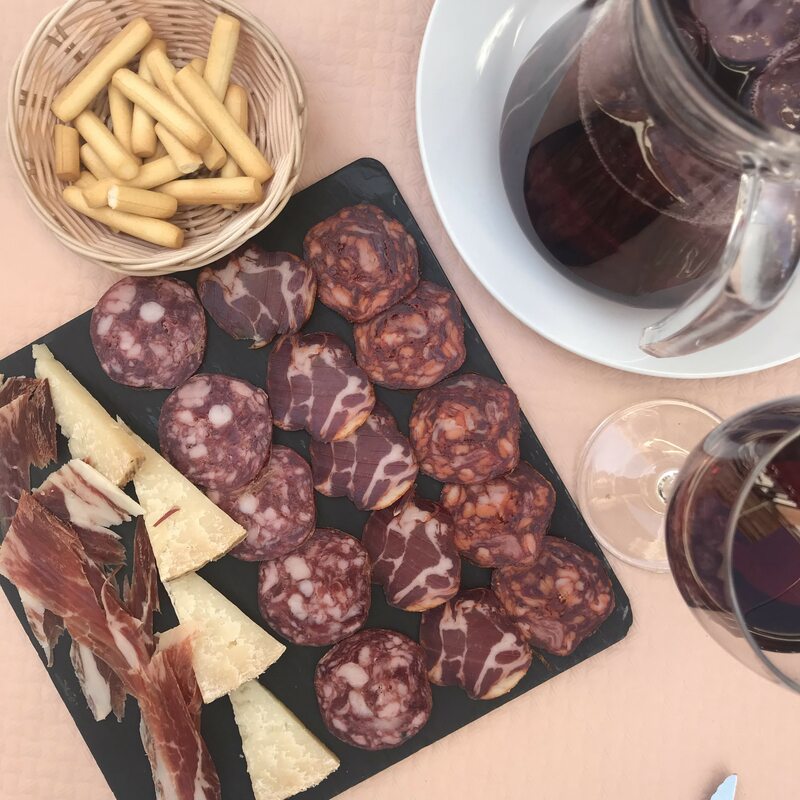 Visit Casa Quino on Calle Nueva for a platter of Iberian cured meats, cheeses and a jug of sangria. There isn’t a better lunch in Ronda. The gardens are gorgeous, even when we visited in winter, but it’s also one of the best places in the city to visit for a killer view of the Puente Nuevo. 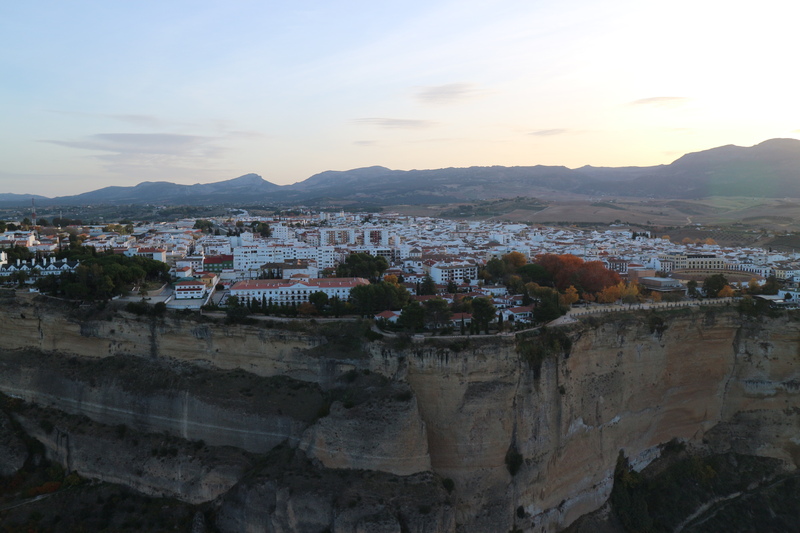 Hands down one of the best experiences of my life was driving down to the bottom of the gorge and rising up over the town of Ronda in a hot air balloon at sunrise. We went with Glovento Sur, and they were fantastic, even bringing us to a local eatery for breakfast after the ride. 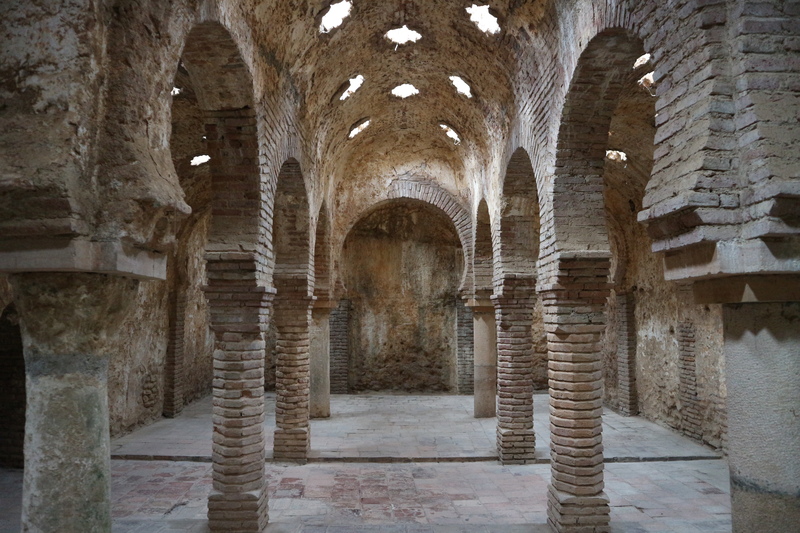 Similar to the design of Roman bath houses, the Arab Baths in Ronda are believed to have been the main public baths for the Moorish population back in the 11th century. It’ll cost you around €8.00 per person to walk through the remains, and there’s a great little film playing in there to show you how the baths would have operated. 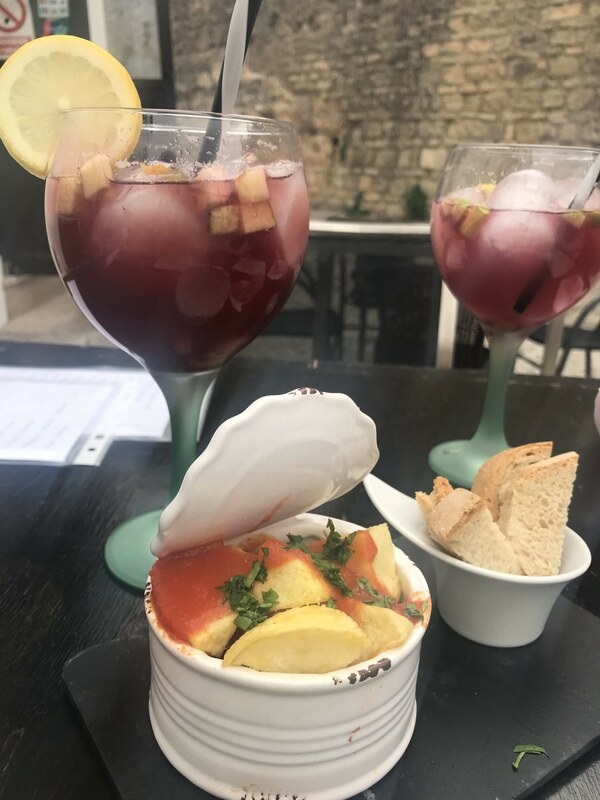 Keep heading south and order from the hand-written tapas menu at De Locos Tapas – the patatas bravas are especially delicious. And more sangria, obviously. After lunch, look over your table and across the plaza, and you’ll find some steps up to a wall – climb on up to burn some of those lunch calories and you’ll also get a great view. Once the palace of a Moorish ruler, it’s now a little natural history museum. 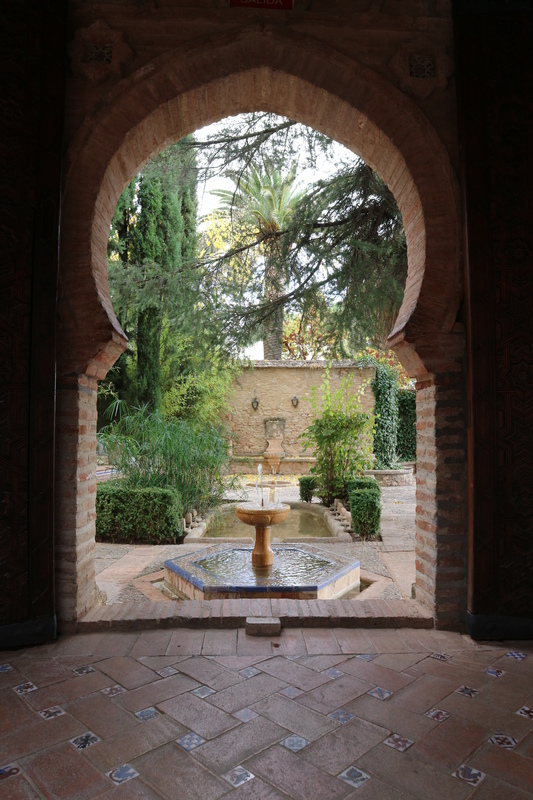 It’ll cost you around €4.00 per person for entry, and is well worth it – a lot of the ceiling and tile details are well-kept originals, and the garden is completely magnificent. This is a BIG bucket list item before I leave Spain!! Your pictures are gorgeous, thanks for this! Thanks so much for reading – hopefully it helps bump it up a few spots on your list! How much longer are you in Spain for? Just another month or so actually. 😦 I’m doing a trip to Granada soon so I’m thinking about trying to combine the two?? We’ll see though, it’s a bit of a trek from Madrid! It’s worth it, I promise!! I really hope you get there! The scenery is beautiful, the people are wonderful and the food is amazing! !